Spotlight on Students, Faculty, Staff, Alumni or Programs! 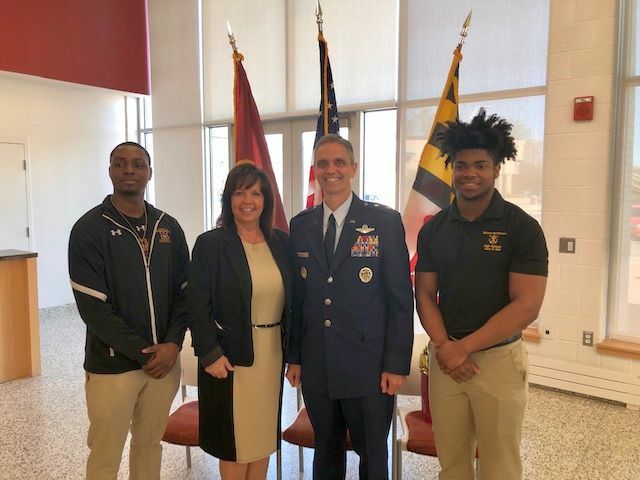 Bishop McNamara High School welcomed Major General Steven L. Basham on Wednesday, April 10 as he spoke to BMHS students, employees, parents, and alumni. Major General Basham's talk focused on his life of service in the military as well as the work he does as the liaison on all programs between the Air Force and Congress collaborating directly with the House of Representatives and Senate to ensure full authorization of the Air Force's $145 billion annual budget. 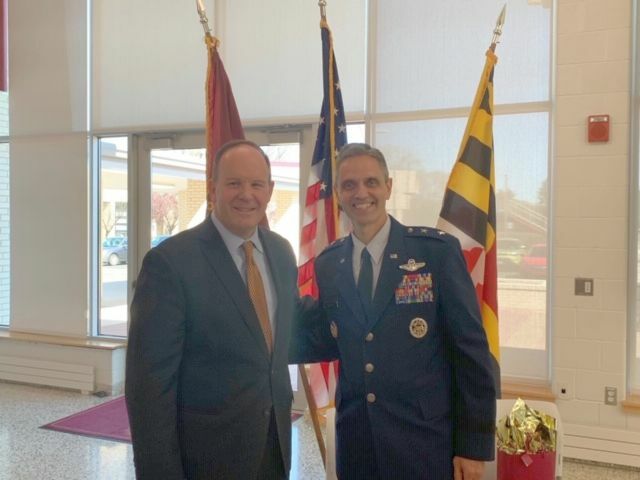 Prior to his current service as Director, Legislative Liaison, Office of the Secretary of the Air Force, Major General Basham served as a combat pilot and served tours of duty in different theaters of operation including Kosovo and South Korea. 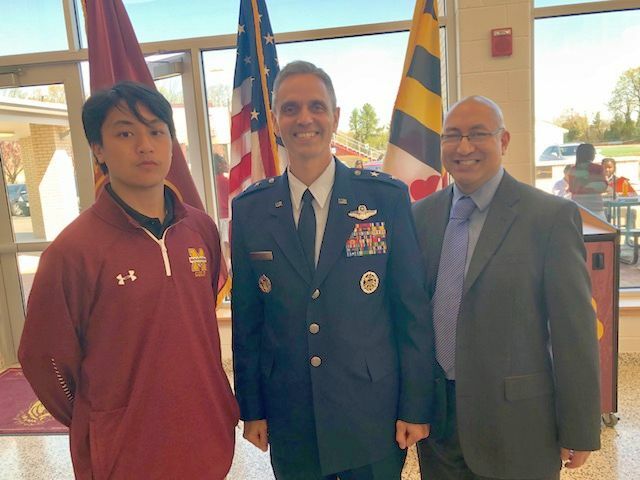 At the conclusion of his talk, BMHS students asked a number of engaging and thoughtful to the Major General about his career and experiences. Major General Basham gave our students advice - not just applicable to military service, but to all aspects of life. One of his most notable lessons was: "What really matters is that if you start something, you finish it" as well as "Don't limit yourself." Before his presentation, Major General Basham toured our School led by senior Tyme Brit-Collins '19, who will be attending the United States Air Force Academy in Colorado Springs this fall and was introduced to all aspects of our broad liberal arts curriculum, but particularly areas related to science, technology, and engineering. 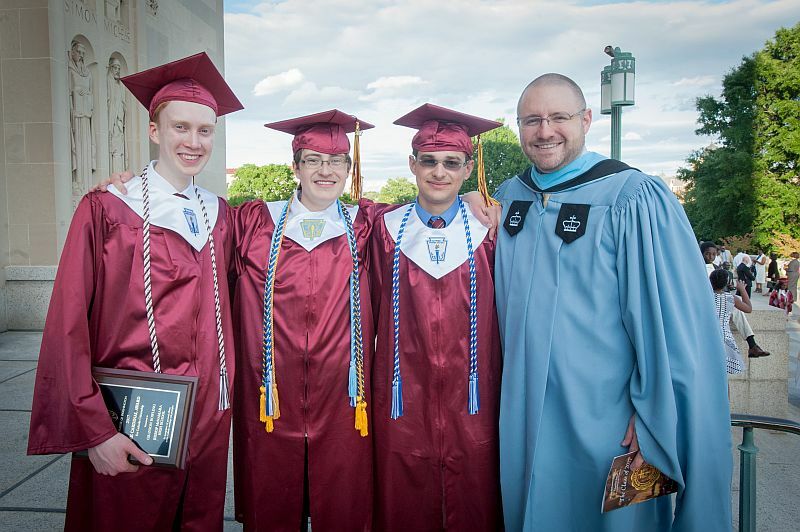 In all, Major General Basham's thoughtful advice resonated with our students and his insights furthered our School's vision to form empowered leaders, inspired by the Gospel, who transform the world. 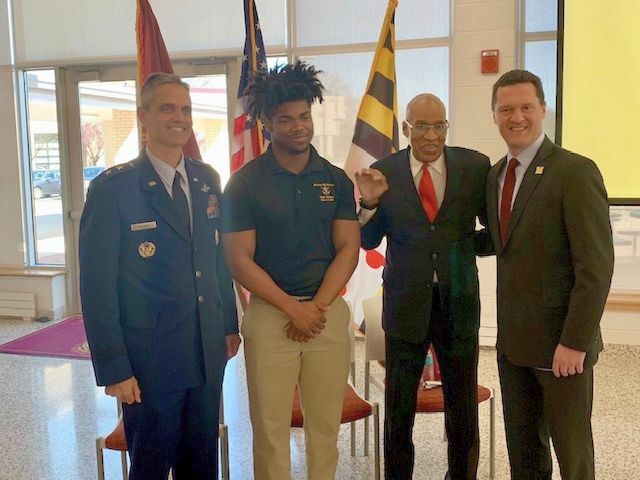 Bishop McNamara High School remains grateful for Major General Steven L. Basham for taking time out of his busy schedule at the Pentagon to visit our School!